When you want an elegant statement for your room, choose our home sweet home pillow. 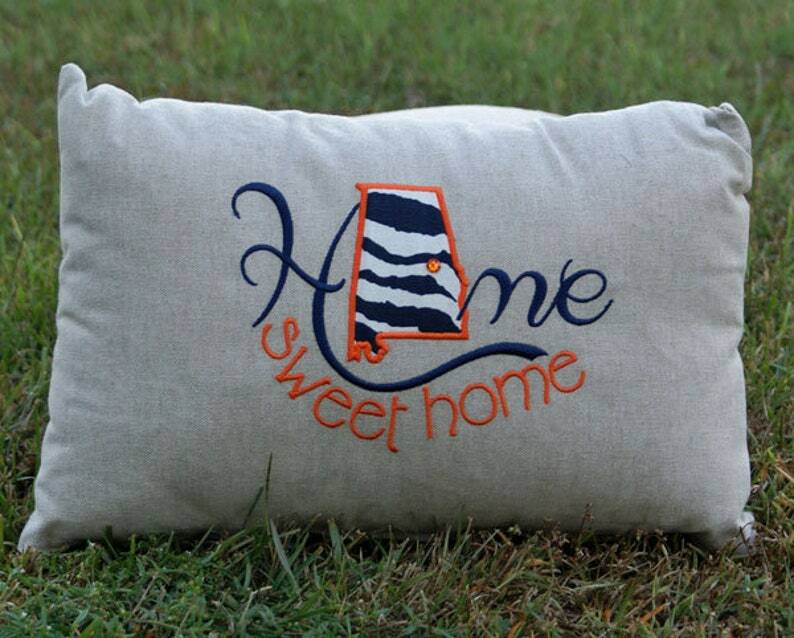 The 12 x 18 pillow has a removable pillow insert for easy cleaning. A Swarovski crystal marks the school location. Custom made in your choice of school colors.